I have been in the furry fandom since around 2002(least that's when I knew what it was. Always loved animals). I used to draw and frequent Yerf back in the day. 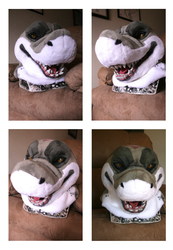 Then around 2004 I started to get into making fursuits. I used to make my own Halloween costumes but I never dreamed I'd be making them for a living! 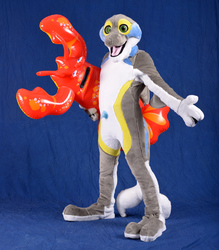 I used to only make realistic suits but ventured into the world of toon shortly after. I love doing this and I would never change it for anything! 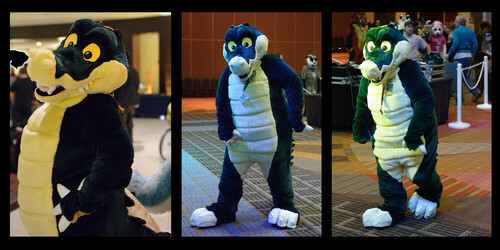 I do go to conventions and you might have seen me there with my reptiles lol they do tend to come along at times! 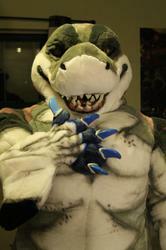 My first convention was in 2005 furfright and I haven't missed a year yet! 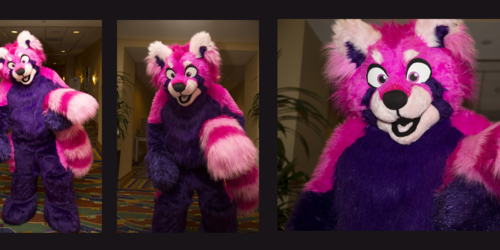 I also make AC,FWA,FCN and sometimes MFF. If you see me at a con feel free to say hello!